Surface tension is the barrier-like force that exists on the surface of a body, particularly a liquid, caused by asymmetries in the attraction between surface molecules. Offset molecules create a new tension and attraction at the edge of the material, activating its edge. Norheim has printed photographs of the landscape and the body onto perforated aluminum and paper, creating dizzied sculptures and prints. Images of desert floors, tablecloths, patios, ears, clouds and hands collide at varying depths. 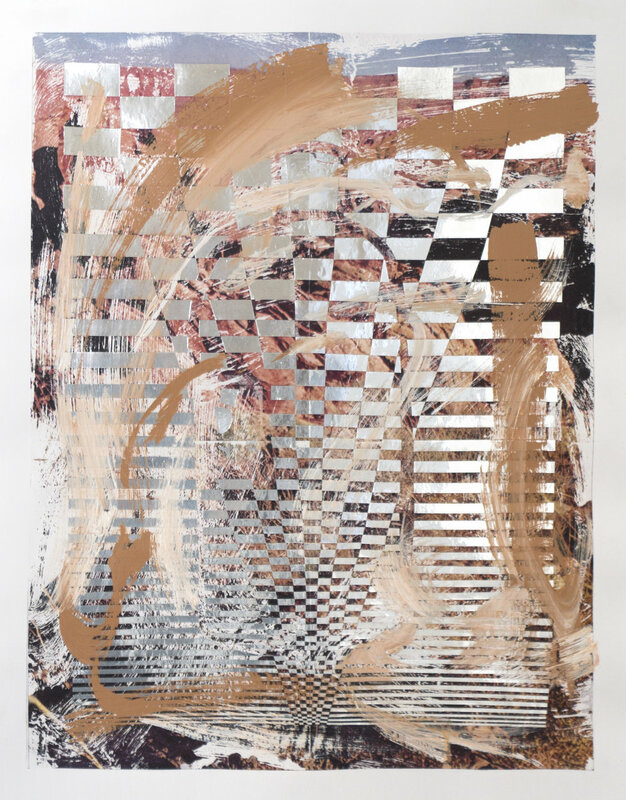 Norheim creates paintings, sculptures, and collages that explore visual trickery and illusion. 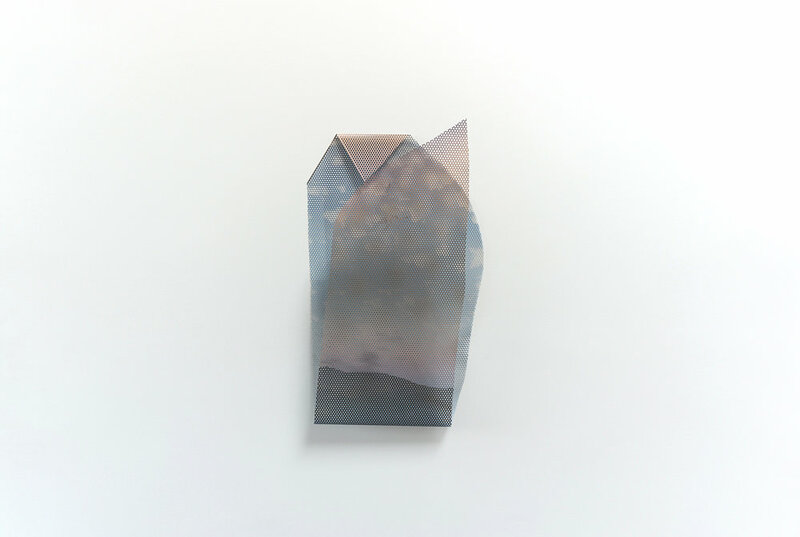 Images of the natural landscape, the body and objects from contemporary life are overlapped, folded, and hooked together to create an invented space where two things collide. Overlapping elements from her surroundings, she creates a sense of order that is punctuated by the chaos of nature.